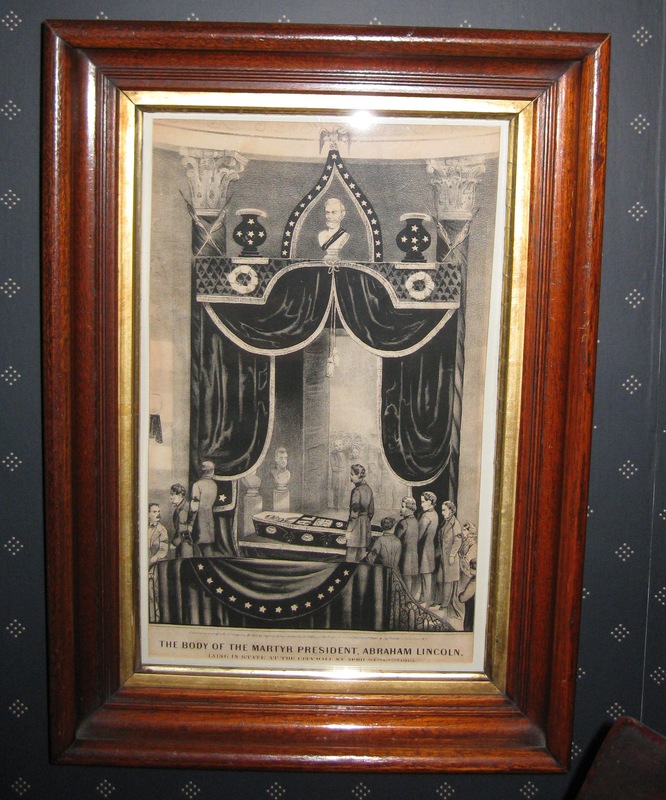 Framed lithographic print by Currier & Ives of President Lincoln lying in state in his casket on April 24th and 25th, 1865 in City Hall in New York. Frame is walnut trimmed and the inner edge is lined in gold. "The Body of Martyr President, Abraham Lincoln. Lying in state at the City Hall, NY April 24th & 25th, 1865."